Elna Baker is a writer and comedic storyteller. She’s appeared on This American Life, The Moth Radio Hour, BBC Radio 4, All Things Considered, WTF with Marc Maron, Studio 360, The Joy Behar Show and in the book The Moth: 50 true stories. She’s written for ELLE, Refinery 29, Yahoo!, Glamour, Men’s Journal, O Magazine, More Magazine, Five Dials Literary Journal and xoJane.com. Her memoir The New York Regional Mormon Singles Halloween Dance was published by Penguin, earning four stars in People Magazine and the 2010 AML award for best humor writing. Her upcoming novel You Are My Revenge, co-written with Kevin Townley, will be published in 2015. 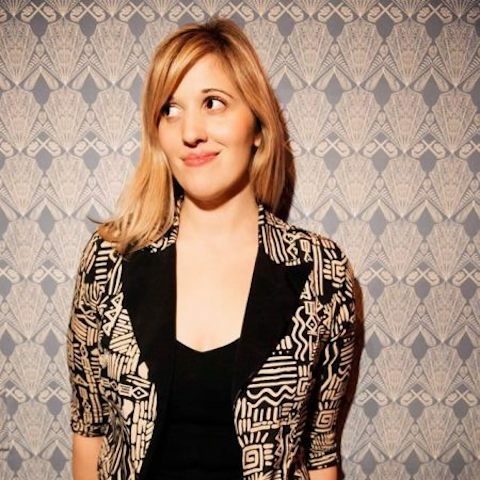 She currently works as a story scout for This American Life and is the co-host and co-creator of The Talent Show, named Best Variety Show by Time Out NY and NY Magazine.